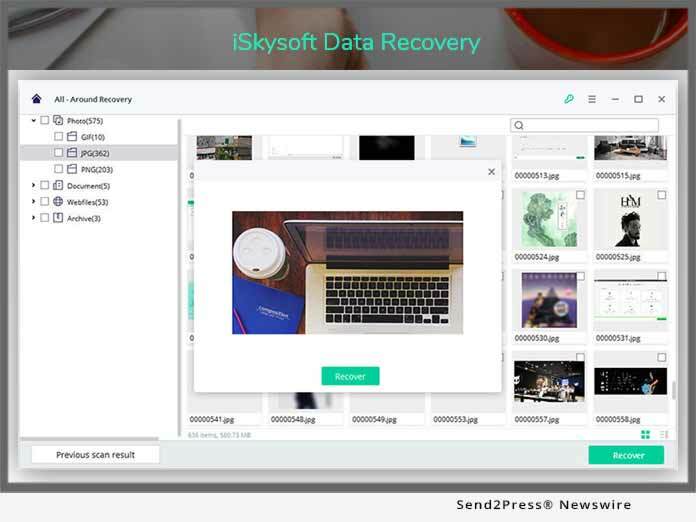 SHENZHEN, China, Jan 24, 2019 (SEND2PRESS NEWSWIRE) — iSkysoft Data Recovery is one of the leading and proficient data recovery software available for platforms like Windows and Operating Systems (Mac). The software has been recently refurbished to provide services focusing the user interface. For, the users who have accessed the software ever before, will be able to access the newly upgraded UI. Also, the new features added during the process are the latest Intelligent System Crash Recovery Application.